Cliff Mass Weather and Climate Blog: Hawaii Gets Hit By A Tropical Storm and a Stronger Hurricane is Next: Why? Hawaii Gets Hit By A Tropical Storm and a Stronger Hurricane is Next: Why? If you were planning a tropical vacation this week, be ready for some exciting weather. If you want to surf big waves--bring your board as well. Hawaii, which normally escapes the ravages of tropical storms, will be hit not one, but twice this week. The latest infrared satellite picture (below) tells the story. A relatively weak tropical storm (Madeline) is now affecting the big island, mainly with heavy rain. But a much larger and more potent storm, Hurricane Lester, is right behind. If you look closely you can even see a well-defined eye in Lester. The maximum winds so far (see below) have gusted to 45-55 mph on the windward (eastern) side and crest of the Big Island. Wind are weak on the sheltered Kona coast. 24-h precipitation totals have been respectable, reaching 5-6 inches on the upper windward slopes. But the worst will soon be over there as the storm passes to the south and west overnight. A far bigger threat is Hurricane Lester. The National Weather Service Central Pacific Hurricane Center official track forecast has the storm going just north of the Hawaiian Island. Since the strongest winds are in the right front quadrant of a storm (front faces the direction of motion), the strongest winds will generally be north of the islands (see NWS wind speed probabilities below, which also include Madeline since it is for the next five days). The big excitement will be waves, something that I would expect might attract the crazy big surf crowd. The strong winds from Lester will result in some decent size waves to form. To illustrate, her is the prediction of the NOAA WaveWatch III model for 11 PM on September 3rd. Some waves getting to 8-9 meters (30 ft), with 5 meter waves over the north shores of all the northern islands. The surf crowd will surely be out in force. Tropical storms depend on warm water and generally require the sea surface temperature to be at least 26.5C. Take a look at the current sea surface temperature (SST) chart below. 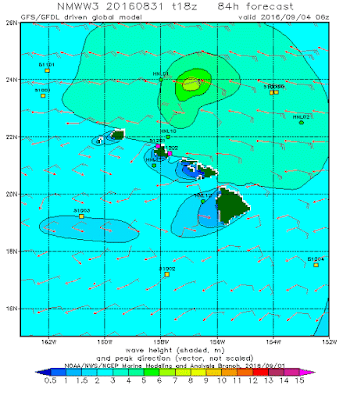 26C just barely pushes north of Hawaii. Normal temperatures are simply too cool for business, but this year the criterion is barely met for Hawaii. Poor West Coast...sea surface temperatures are way too cool! Announcement: My Climate Surprise Talk on September 28. During the evening of September 28, I will be giving a talk in Seattle at UW's Kane Hall on Climate Surprise: Unexpected Impacts of Global Warming on the Pacific Northwest. You think global warming will simply bring warmer temperatures, drought, less snow, and more storms? Think again. The latest climate model simulations provide a far more nuanced prediction of what will happen here, with some of the results quite surprising. This talk is sponsored by CarbonWa and the Audubon Society To find out more or to secure tickets, please go here. I'm in Kailua Kona and it was a gorgeous day here! Blue sky and sunshine with a light breeze followed by one of the most beautiful sunsets I've ever seen. Cliff, you should write about Alaska's apparent warm blob. Been very warm in Fairbanks. I'm sorry for the people of Hawaii but I'm glad I'm too poor to travel there. Thanks for bringing some attention to Hawaii and its tropical storms Cliff. Here is my experience forecasting for Airlines that service Hawaii and the tropical storms that attempt to affect the state. Lester has major obstacles in its path to be a Hurricane just north of Oahu, and this will almost certainly not happen as predicted by the CPHC. Time and time again these tropical systems that approach from the east suffer from dry air entrainment, increased wind shear and Water temps that are just below optimal. In other words: they get completely butchered as they approach from the east in the last day or two before making it to the islands. 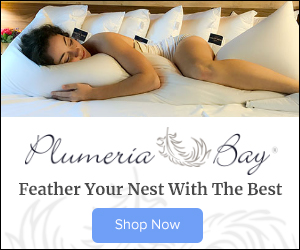 Living in the islands and forecasting for airlines, I have seen these forecasts for hurricanes or tropical storms approaching the islands bust time and time again. I don't like to be hard on forecasters because I understand first what they have to go through, but it just happened again with Madeline. Remember that Madeline was forecast just a couple days ago to be a hurricane still at this time, west of the Big island of Hawaii. Frankly, it was an easy call NOT to cancel flights to Hawaii, and to see that the forecast for Madeline was incorrect because of the obstacles I listed earlier. I know the GFS shows Lester being a hurricane north of Oahu, but we all saw what happened to Madeline, it was butchered, like every other tropical system that approaches from the east. The tropical storm that Hawaii needs to worry about is the system that stays starts and stays south of the islands in the warm water, with low shear, and no dry air, and then makes a rapid turn to the north once it is just south of the islands. Hurricanes Iniki and Ewa did just this in the past. Lester has very little chance to be the first hurricane to make landfall in the Garden Isle since Iniki, and historically speaking this system will almost certainly not have substantial impacts on the Islands, other than surf, and periodic heavy rain for some favored locations. Disclaimer- Since a tropical system that loses it deep convection will move on a more westerly path, it could track over the islands easier, and then flare up some deep convection as it does. Not a hurricane by any stretch, but it would be good for some heavy rain and thunderstorms if the convection developed over any of the islands. Maybe I should knock on wood, since I'm pretty sure I just put out the biggest jinx ever! Poor West Coast, Indeed! We get such boring weather. (No I am not being facetious.) We can't even get any rain out of these clouds. If we have to give up the swimming season, can't we at least get a good soaking to help our forest, gardens, and fish? I'm used to coming to you to help me disprove the whole global warming thing. I was hoping this article would include a statement that these hurricanes aren't caused our made worse by global warming like most of you others. Could you help me out? John Bennett... if you come here to "disprove the whole global warming thing" then you'd be better served over on Faux News. Cliff has been very clear that Anthropogenic Global Warming is going to become a huge problem over time if we don't act to reduce CO2 release into the atmosphere. 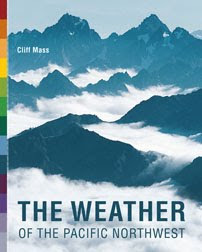 If, however, like many of us, you want to understand the linkages between current weather and AGW, and to unwind the hype in the media (on both sides), then this is a good place to learn. On the other hand, you might just be a troll. They don't have any credibilityand Cliff's been really helpful in the past is all I'm saying. Cliff man, can you please explain how these hurricanes aren't caused/made worse by global warming? All I'm hearing is I told you so from my doomsday friends. I think the storm is too close to produce the long period swell needed for "surfable" big waves. As the storms approached and before the wind kicked in the surf might have been good and east facing coasts west of HI might get some good big surf. Surf forecasting is really a headache and it takes a lot of factors lining up to get good big surf.